VP Eco96 is an unleaded, oxygenated off-road racing fuel made specifically for Ecotec engines or other applications that can run low octane fuel. With the fuel’s unique chemical properties, VP Eco96 prevents vapor lock in the extreme heat of desert racing better than pump gas and standard types of race fuel. VP Racing Fuels was founded by Steve Burns, who initially exhibited his aptitude for R&D in the early 1970s as a young racer in San Antonio, Texas. Self-taught in chemistry and physics, Steve was convinced the race fuel manufacturers of the day were falling short in their quest for optimum horsepower. To address this shortcoming, he began experimenting with exotic blends of fuel, much to the dismay of his parents whose garage served as Steve’s laboratory. 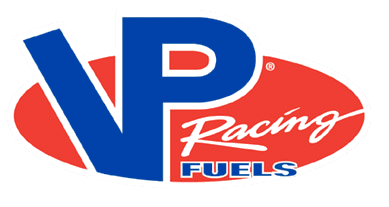 Steve began at the local tracks of Texas, where racers tried his fuel and liked the power gains, and, in 1974, VP Racing Fuels was founded. VP is now recognized by many as the world leader in race-fuel technology, with a catalog of more than 70 fuel blends and a growing roster of VP-fueled champions across the entire spectrum of motorsports.